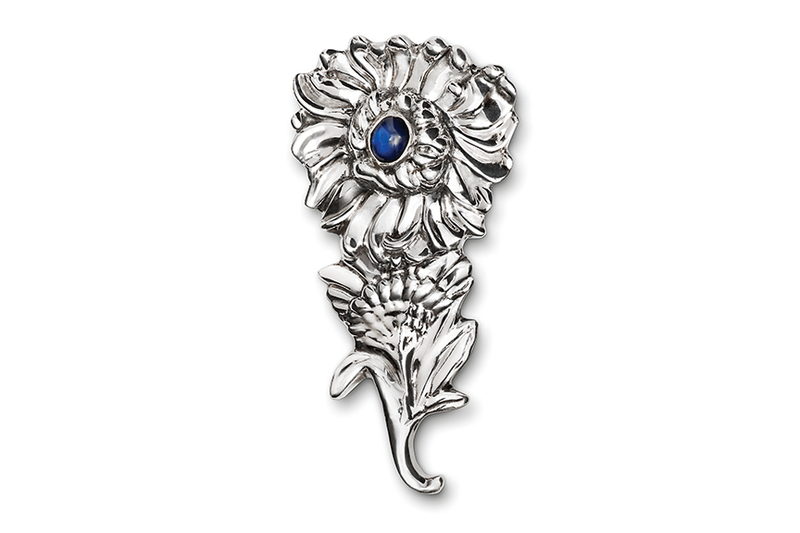 This stemmed Chrysanthemum Brooch features rich, slim petals surrounding a deep blue cabochon sapphire, all atop a pretty leafed stem. The brooch measures approximately 2 1/2” high and 1 1/2” wide. Especially gracious on the traditional upper breast placement of a blouse, shift or blazer.